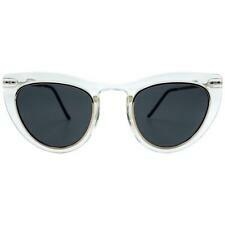 SPITFIRE - CLEAR / BLACK "Outward Urge" Retro Lens Sunglasses. Step into the future with the Outward Urge sunglasses from Spitfire. "OUTWARD URGE" Retro Lens Sunglasses. CR-39 Lens, 100% UV Protection. SPITFIRE - "FTL 2" Retro Flat Lens Sunglasses. "FTL 2" Retro Flat Lens Sunglasses. CUTE LITTLE STUFF . Lens Width: 54mm / Nose Bridge: 20mm / Temple Length: 145mm. CR-39 Lens, 100% UV Protection. We are here to help! 100% UV protection. Protective hard case and cloth included. These sunglasses feature Why buy from Brain Sunglasses and Accessories?. authentic sunglasses and designer accessories for years. Has small surface marks from daily use and age. Lens condition: Vision is VERY clear. 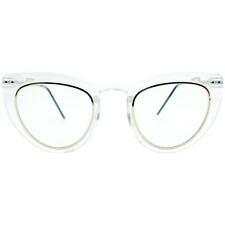 SPITFIRE - CLEAR "Outward Urge" Retro Lens Sunglasses. Step into the future with the Outward Urge sunglasses from Spitfire. "OUTWARD URGE" Retro Lens Sunglasses. CR-39 Lens, 100% UV Protection. We are here to help! 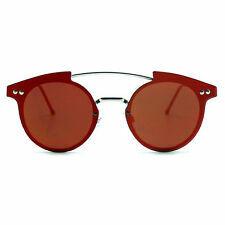 Spitfire has done it again with the Trip Hop Flat Lens sunglasses. SPITFIRE - "TRIP HOP" Flat Lens Sunglasses. TRIP HOP Sunglasses. Bridge Width: 20mm, Temple Length: 140mm, Eye Width: 55mm. CR-39 Lens, 100% UV Protection. SPITFIRE - Black / Silver "Outward Urge" Retro Lens Sunglasses. Step into the future with the Outward Urge sunglasses from Spitfire. "OUTWARD URGE" Retro Lens Sunglasses. CR-39 Lens, 100% UV Protection. SPITFIRE - CLEAR / Green "Outward Urge" Retro Lens Sunglasses. Step into the future with the Outward Urge sunglasses from Spitfire. "OUTWARD URGE" Retro Lens Sunglasses. CR-39 Lens, 100% UV Protection. Drawn to the fine lines on these oversized Hype sunglasses by Spitfire. Hype Sunglasses. Silver Lens, 100% UV Protection. We are here to help! Imported by Spitfire. Style: Clubmaster/Wayfarer Sunglasses. Lens Color: Black. GET TO KNOW EVGOTHIC. Hablamos Español.